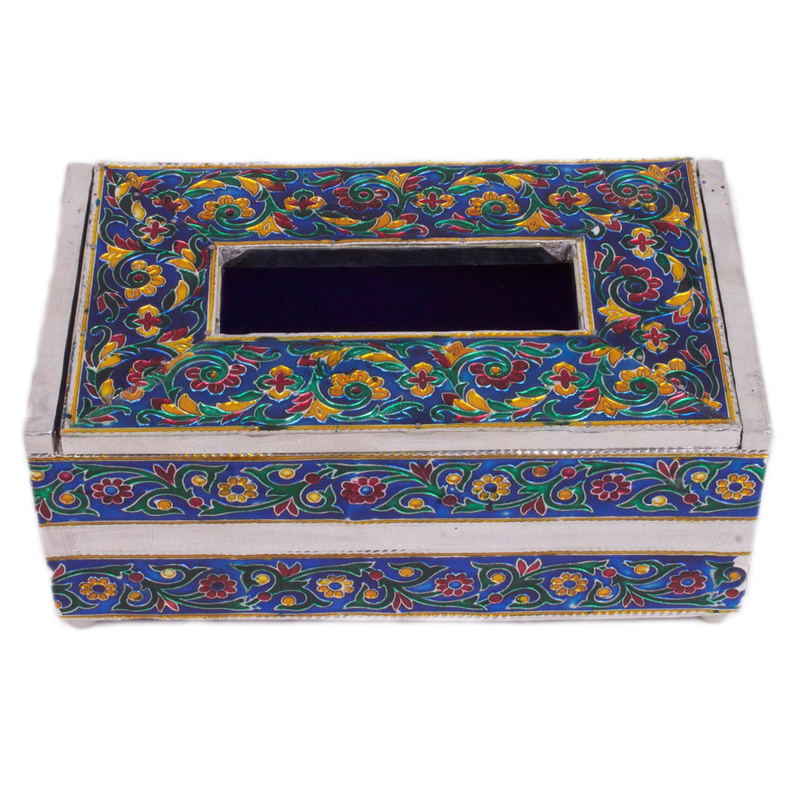 Buy this Elegant & stylish wooden meenakari worked tissue box for your home. It blends the style & utility with sheer perfection. This is not just a normal tissue holder that you will put on your dining top, but this is a piece of artistry which perfectly Read More..combines elegance with utility. 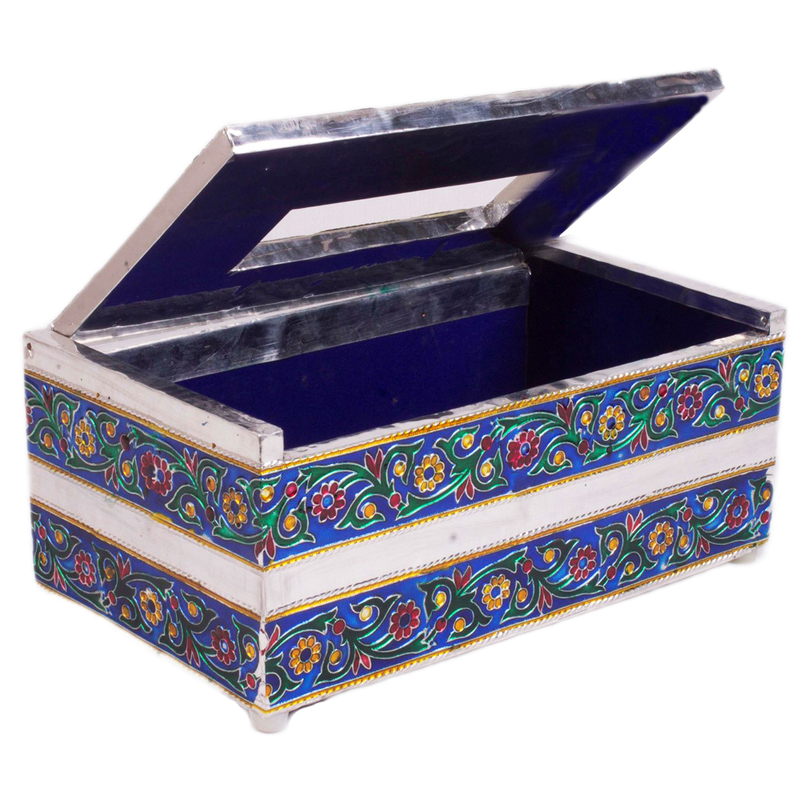 Rectangular in shape, it has stunningly attractive meenakari design imprinted on the blue skin. Guests will definitely enjoy the dining experience in your house once you put it on the table. 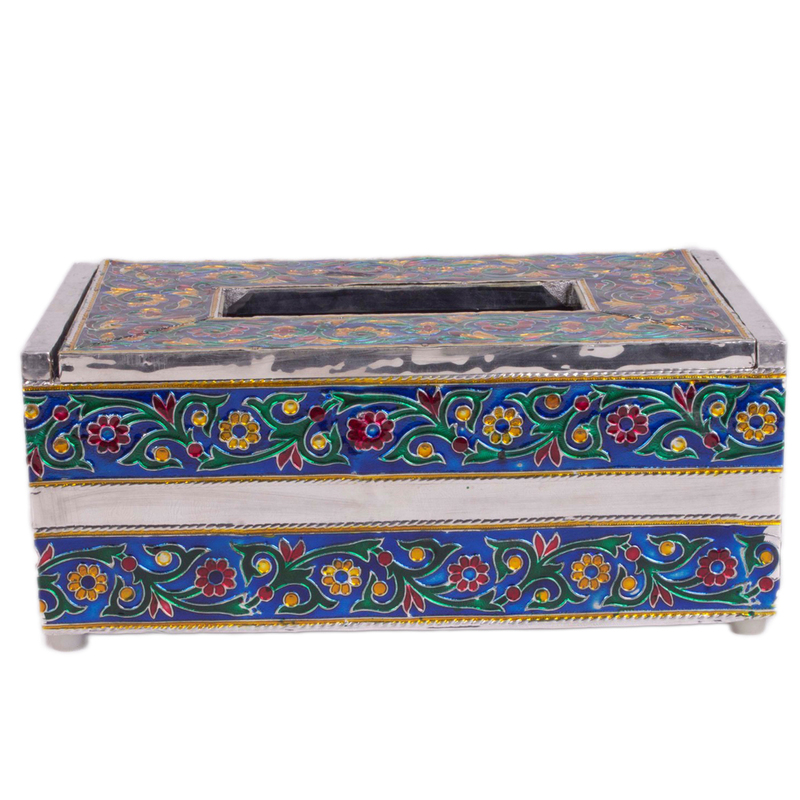 The grandeur of Rajasthani art reflects its vibrancy through this masterpiece. Quality of wood used is sturdy enough. The grooved slot on the lid will ease your accessibility to use the tissues. Boontoon is happy to offer this in a very reasonable price. Have it now! Show Less..